This comprehensive guide to Sell a House in Vancouver brings you some important topics to consider when you have made the decision to Sell Your House. Getting to know about the basics on how to sell a house in Vancouver will give you more knowledge. Choose a real estate agent who you can trust and feel comfortable with. 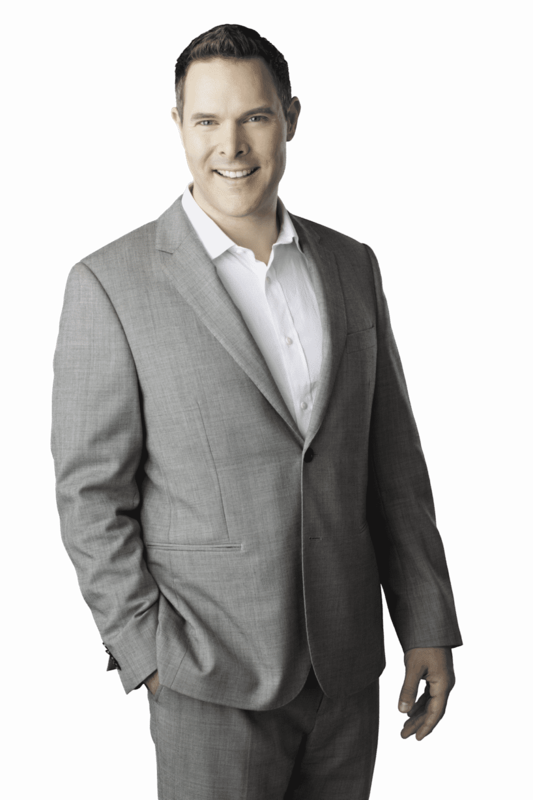 You will understand, once we meet, your decision to hire me to sell your house in Vancouver, will be easy to do. 3 WHAT HELPS SELL A HOUSE? 4 CAN I SELL A HOUSE ‘AS IS’? 6 WHICH ROOMS SELL A HOUSE? 7 WHAT SMELLS HELP SELL A HOUSE? 8 WHAT UPGRADES HELP SELL A HOUSE? 9 WHY HAVE A REALTOR WHEN SELLING A HOUSE? 14 WHAT STAYS WHEN SELLING A HOUSE? 19 Can’t find what you’re looking for? Start your search now! 20 Get in Touch with Andrew Now... Quick and Easy! Timing is everything when it comes to choosing the right time to buy and sell a house in Vanocuver. For a seller, this can help you make a lot more money and help you sell faster. According to research, many more buyers are interested in moving during spring-time and many more sellers put their houses up for sale. Buyers are interested in buying a house in Vancouver because they might be ready to use their tax refunds to aid them to buy a house. After everything boils down, the best month for sales is in the month of May. When it comes to pricing, it is ideal for sellers to list their houses for an odd price. This method has been psychologically proven to work and that is why most huge supermarket owners never label prices on their products that end with a zero. There is an advantage in choosing to sell a house during a divorce. The money received from the sale can help provide each spouse with a solid financial backing to start afresh. This can also provide emotional closure to some spouses. Before putting your house up for sale, you and your soon to be ex should have a discussion on having one real estate agent. This is an area of interest for both parties and using a single real estate agent can also aid in avoiding arguments which might be a turn off to potential buyers. You need to ask yourself these questions before putting your house up for sale. Can you sell the house ‘as is’? Can one spouse afford to live in the house without problems? Who would be in charge of preparations for sales and showing the house? After the sale and when it comes time to share the profit made from the house, make sure you comply with the terms of the state and the court. What each spouse gets might vary depending on the condition of each partner. If one partner contributed more to the mortgage and upkeep of the house, it is only fair that they receive more after the sale of the property. WHAT HELPS SELL A HOUSE? Selling a house in Vancouver is something any Realtor should be able to do, but selling your house fast and at a good price is a key factor. Here are points to aid anyone selling their house. Have a professional access your house and you can come up with a proper price tag. Pricing is everything in Real Estate. Prepare your house for open houses and staging by boxing up personal effects that you can do without, such as family photos, laundry and clutter. Make all minor repairs such as repairing leaking taps, sinks, repainting if the paint is worn out. Do not over upgrade your house. Some upgrades can improve the value of your house while some upgrades just too much for most buyers. First impressions always have a great impact. Your curb appeal should be top notch. Mow down tall grass and keep the entrance of your house neat at all times. CAN I SELL A HOUSE ‘AS IS’? Selling your house is not always easy, especially when you want to sell it fast and ‘as is’. One way of selling your houses ‘as is’, is to have your Vancouver Real Estate Agent start the process of getting it on the market. They will review with you what type of market you are in – A hot, cold or neutral market. The likelihood of return on your investment and suggest the best price range in which your house will sell at. The sales process can go quickly, depending on how competitive you are with your competition. If buyers do not see a value in the ‘as is’ property and price, they will keep searching for the next deal. The types of buyers out there looking for properties ‘as is’, varies. First time house buyers willing to put sweat equity into the house are always on the lookout for deals. Same with investors wanting to cheaply fix any issues and rent it out. Contractors will want to build a new house too. The house selling process is not an easy task and this process becomes challenging when it is discovered that the house contains asbestos. Asbestos emits some fibers that can lead to cancer called mesothelioma. When selling a house with Asbestos, you need to make sure you disclose this to potential buyers. Get an inspection, especially in an old house to check the presence of this material. If this material is present in your house, it is not illegal to sell a house with this material but you need to inform the buyer before selling the house to them. The presence of asbestos does not necessarily mean the condition is bad or dangerous. The presence of Asbestos gets dangerous only when the material releases fibers in the form of dust that can be inhaled. Asbestos only releases its dust-like fibers when improper removal methods are used or the containing material gets damaged. Get an expert to remove the Asbestos from your house. No one should be in direct contact with this material, only professionals who have had experience doing this remediation. Each house has a defining aspect about it. While some houses have an amazing yard, some might have a spectacular pool or a pimped out Man Cave. However, these things do not exist in every house, so we are going to talk about the key rooms that help sell every house. The living room is the place which most people spend most of the time in. That is where visitors come reside, meetings or small parties can be held, the kids watch TV and the family gathers. This room should be of utmost importance, for most buyers this room can make a deal go through or stop the deal totally. The living room is the center of attention and entertainment of every house and should be treated as such. The kitchen is another important room of any house which can make or break a sale. This is the room in which eating, cooking and other activities are done. Most homeowners pride themselves on their kitchen because the kitchen is the heart of every house. A clean and neat kitchen can definitely be a key factor in a sale. WHAT SMELLS HELP SELL A HOUSE? Every house has a scent, which most often than not, people who live in that house do not necessarily perceive it. This scent must not necessarily be a bad scent but so far as the scent is present, it might be irritating to a buyer. When you are ready to sell your house, you need your house to smell clean, light and neutral. Research shows that complex smells do not help in selling and might even hurt chances of selling. Masking odors by using air fresheners are not the best ideas. A neutral or vanilla scent is always the way to go when in doubt. A neutral scent smells cleans and is always welcome to buyer’s noses. Mop the floor with lightly scented or unscented cleaners. Scrub bathrooms top to bottom with unscented/lemon cleaners. Store old shoes and clothes in plastic boxes with lids. If you have any pets, make sure to wash them and wash their bedding. Living in a competitive and saturated market such as Vancouver means there is a lot of competition and the sale of a house is not an easy process. However, there are some upgrades which can help attract any buyer to be interested in your house. Start with the most basic things that need attention. Fix broken pipes and other things that need fixing. If there are items such as the furnace which does not work, no buyer would care of how beautiful your kitchen is and would focus on the fact that the furnace in the house you are selling does not work. The kitchen is the heart of your house and also what attracts many buyers to make their final decision. 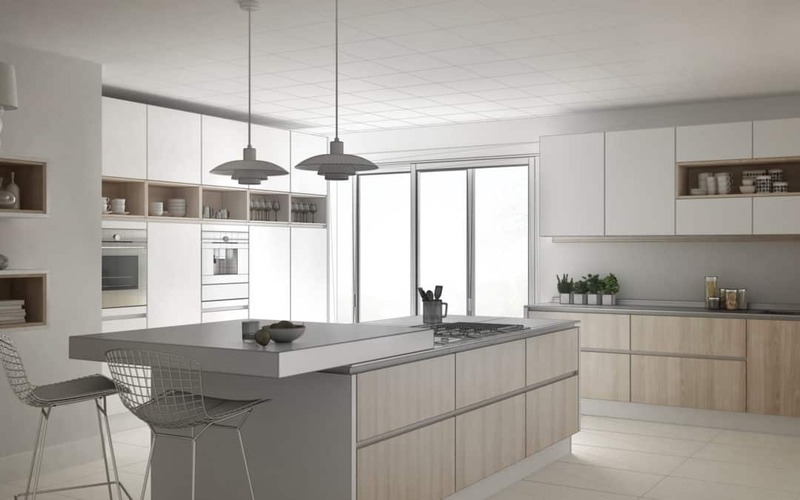 A modern kitchen with a great layout would definitely stick in the memory of any buyer. Improve the condition of the bathroom by providing new lighting, a clean tub and shower, and modern faucets that call for attention. Employ a professional house stager to help you arrange your house in a way to blow the mind of anyone who walks into it. If your house doesn’t look attractive and neat, buyers will keep searching for the right one. WHY HAVE A REALTOR WHEN SELLING A HOUSE? With almost all the information you need on the internet, many people do not see the need of having a realtor when trying to sell their house. Well, here is why you need one. Choose an agent who has years of experience and understanding the Vancouver market. One that has been an agent in the area for a while. Therefore, you do not need to be an expert as the agent does everything for you and keeps you up-to-date. While you are busy with your life, the agent handles all the small and less important information of the property, such as arranging showings, answering questions and prospecting for buyers. An agent has contacts throughout the lower mainland if you need help such as upgrades and fixing small problems. 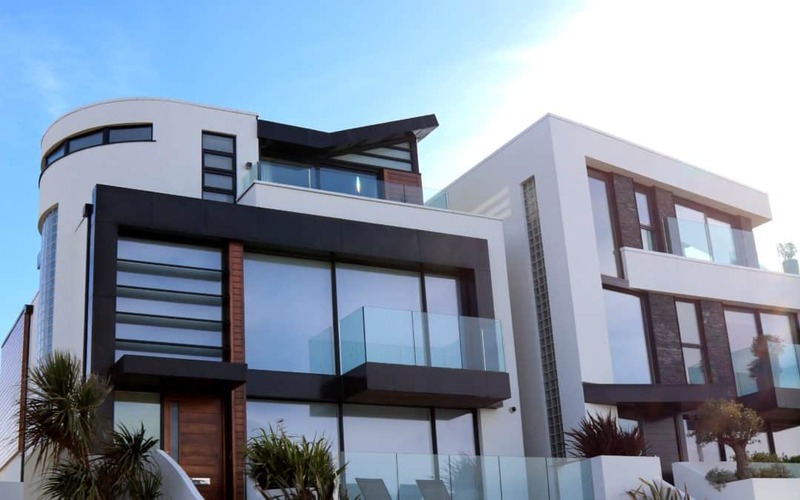 An agent would carry out an evaluation and agree on a reasonable price which most buyers would agree to buy the kind of house you are selling. WHAT STAYS WHEN SELLING A HOUSE? When you are selling your house, it is not normal to think of taking everything that you bought for the house. If you want to keep something and it’s a fixed item, remove it and pack it away before your house goes on the market. However, there are a few items you can keep to entice a buyer into buying your house. Generally, it is advisable to leave these items when selling a house. Built-in benches, attached bookshelves, light fixtures. Any landscaping items in the ground like trees, shrubs or any other landscaping… stays in the ground. Any TV wall mounts should be left on the walls. It’s easier to buy new ones for your next house. If you have any custom-fitted items, it is advisable to leave that too. Alarm systems and smoke detectors stay. Hardware such as the doorknobs are left where they are. Leave the hooks for hanging pictures on. Anything Screwed, glued or nailed to the walls should stay with the house unless negotiated in the contract of purchase and sale. While some house owners might love pets, other might not really want any pets around. Even those who might love pets, most would prefer no pets in the house for showings. Selling a house with pets is not an easy task. Here are tips to sell your house with pets. Talk to your veterinarian especially if you have an older pet who might not adjust well to change. Take your pets outside or have a sitter take care of them during showings. Ideally, your estate agent is in charge of showings while you are away. It is best to have your pets caged or away from the house so buyers don’t play with them. Repair any damage your pets might have caused before putting your house up for sale. Get rid of pet odors and stains, no one wants to see stains on the floors. Make sure your yard is clean and any litter your pet might have caused should be taken care of. Make sure your house is in tip-top shape before putting it up for sale. Even if there is some evidence of a pet, the buyers would have nothing to complain about since your house shows and smells great. When a landlord sells a property with tenants on a fixed-term tenancy, the tenancy continues until the end of the term. A tenancy agreement cannot be canceled because the property has been sold, unless all parties agree in writing. The landlord or estate agent would have to ask the tenant permission to enter their house to show the house to potential buyers. This notice must show two things, the reason for entering the house and the date and time the entry scheduled. Once the tenant and landlord have agreed at the time of the showing, the landlord can enter the property for a showing even if the tenant is not present. The landlord or estate agent is responsible for the safety of the tenant’s possessions. A tenant may refuse entry if the reason for entry is unlawful or unreasonable. However, if the landlord has given proper 24-hour notice to enter a house, the tenant must not prevent the landlord or the estate agent access. A representative of the tenant may be present during a showing. The landlord has no right to ask the representative or the tenant to exit the house during a showing. The landlord or the estate agent must be present during a showing. As you can see, preparing to sell your house can be a complicated process. Relying on a professional, qualified Real Estate Agent to complete this process is almost always your best bet. I will reduce your stress, bring qualified buyers who are ready to buy and you don’t have to worry about marketing your home. How to sell a house in Vancouver is what I do, and I do it right. 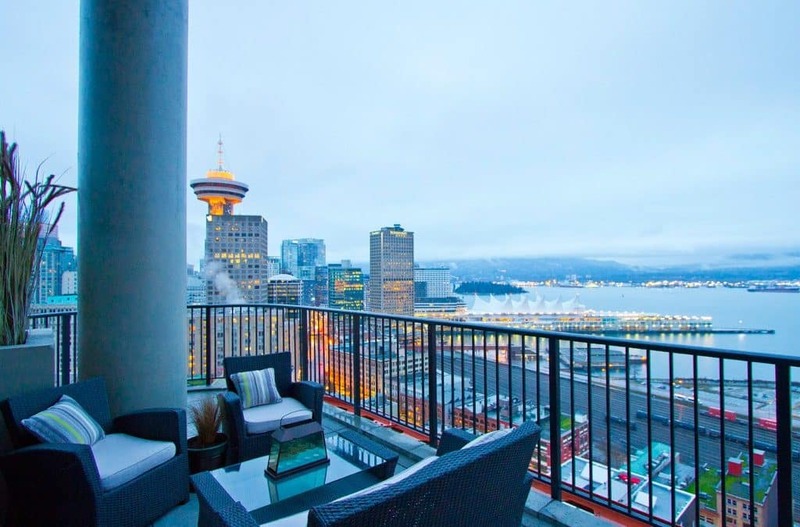 Connect with me to review my proven marketing plan so you can hire me to start the process to Sell a House in Vancouver. Can’t find what you’re looking for? Start your search now!